Let’s face it — there are probably a lot of other things you’d rather buy than a new roof. If you’re going to make the investment, however, you want to know your roof will last. The good news is that quality materials and an experienced installer can make your investment pay off over the lifetime of your property. A new roof will also protect your property for decades, safeguarding it from moisture and mold. If you’re thinking of getting a new roof, chances are you’re considering asphalt shingles. Asphalt is lightweight, low maintenance and available in a wide variety of colors and styles. The beauty, value and durability of asphalt can’t be beat, which is probably why more than 80 percent of homes in the U.S. have an asphalt roof. Asphalt roofs are popular because they combine all of the qualities homeowners look for in a new roof: affordability, aesthetics and durability. It also doesn’t hurt that they look great and complement nearly all types of architectural styles. This is why when you ask “how long does a roof last,” what you should really ask is “how long does an asphalt roof last?” Various roofing materials have different lifespans, along with their own unique pros and cons. For example, a slate or clay tile roof can last a century or more with property maintenance, but these roofing materials are extremely costly, heavy and not suited to every architectural style. Metal – Between 40 and 60 years. Wood – 50 years, with a cost that is 6x higher than asphalt. Slate or Clay Tiles – 100+ years. Slate and clay are the most expensive roofing materials. At Nu Look roofing, we want you to feel confident about your new roof. We know that a new roof is a major purchase for most people, and we believe it should be one you only have to make once over the lifetime of your home. We’re here to answer your questions and help you select the best roof for your property — and we’re up front about how long you can expect your roof to last, as well as what type of protection you have against defects in product manufacture, workmanship or installation. The warranty period for your asphalt shingles depends on which type of Owens Corning™ shingles you choose. 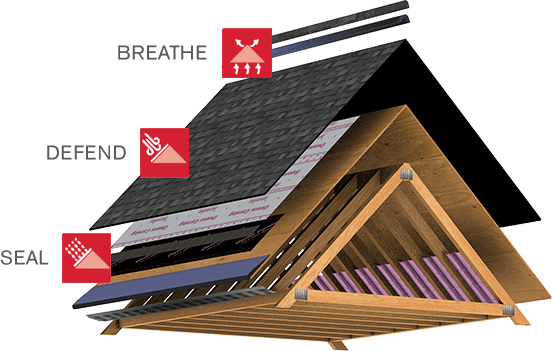 For example, our TruDefinition Duration shingles come with a lifetime warranty when installed on a single-family detached home. If it’s time to replace your roof, make the most of your investment by choosing a durable, beautiful and cost-efficient asphalt roof from Nu Look Home Design. Call today at (800) 279-5300 or email at info@nlhd.com.